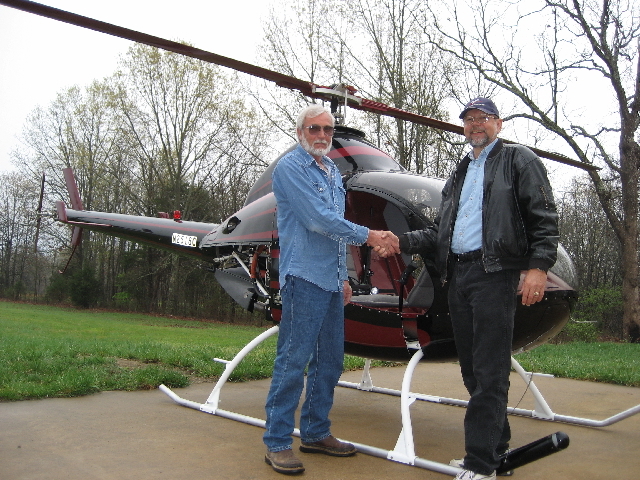 Bill Faulkner and Orv built Bill's Rotorway 162F at the Sho-Me Helicopters, LLC Training Center in West Plains, MO. 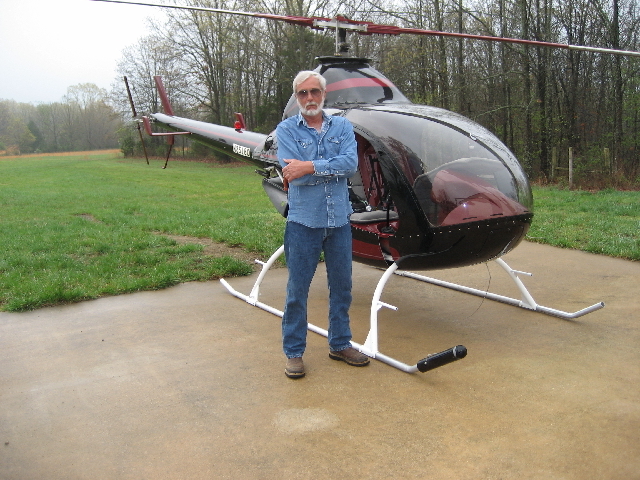 Bill added all of the upgrades that he and Orv knew would enhance the safety and reliability of the helicopter. 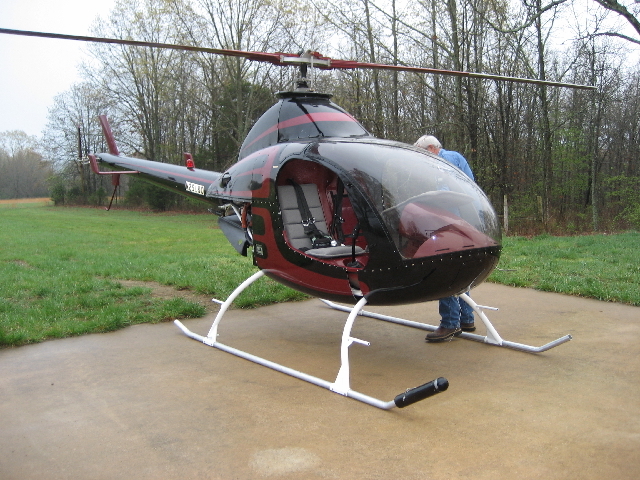 The photos below show Bill preparing for and then flying his first solo flight in a helicopter. In the above photo Bill is performing his pre-flight safety inspection on his Rotorway 162F in preparation for his first solo flight. You can tell by the look on his face that Bill is just a bit nervous about flying his helicopter that he had invested so much time and money into, all by himself. 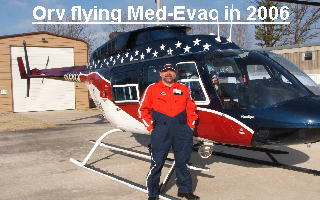 Orv had to cut the umbilical cord and make him take the next step, his first solo flight. In the photo above Bill is running through his Start-Up check list prior to his first solo flight. 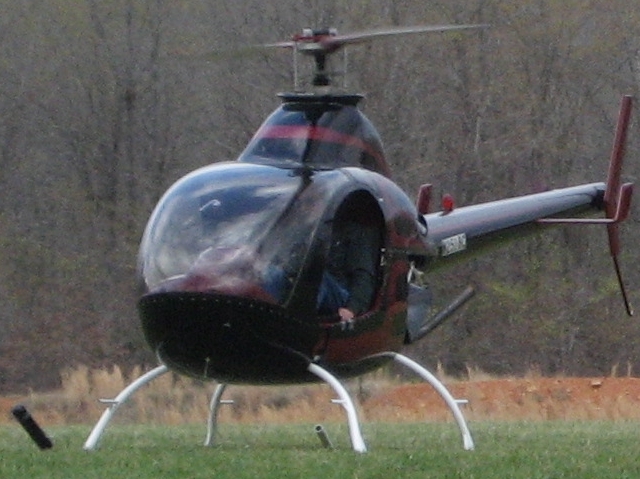 In the photo above Bill is practicing a few solo take offs and landings during his first solo helicopter flight. Above Bill is really starting to enjoy the performance of his helicopter during his first solo flight. In the above photo you can see by the look on his face that Bill thoroughly enjoyed the exhilaration of flying his own helicopter solo for the first time. 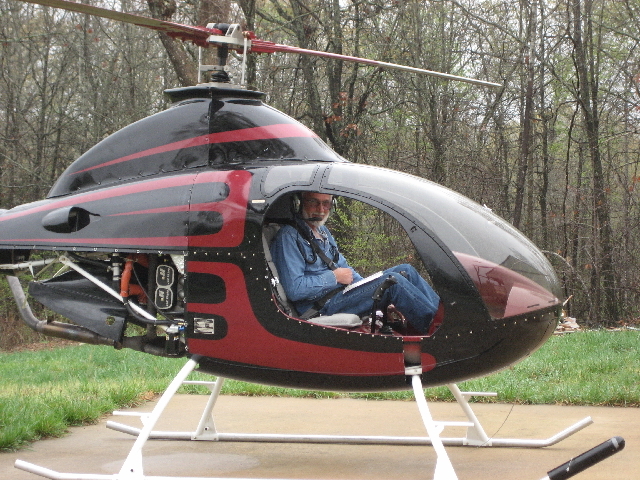 Bill is now enjoying flying his Rotorway 162F all over the North Eastern Arkansas area. Here Orv is congratulating Bill for a job well done. It is moments like this that make it all worth while.